Produce the best tasting highest quality frozen dessert. Offer your guests smooth creamy consistent yogurt, ice cream, custard or sorbet! Allows for more units in a smaller space. • Innovative Solutions providing the Best product quality in the industry. • Meets ADA Specifications for self service applications • Precision dual Smart control monitors Temperature and Consistency to provide superior taste and quality. • Multi-function LED display with manager smart tools. • Compact design with a small foot print. • Twist feature will dispense two separate flavors or equal combinations of both. • Patented auger gently blends reducing agitation and maintaining product quality and consistency. 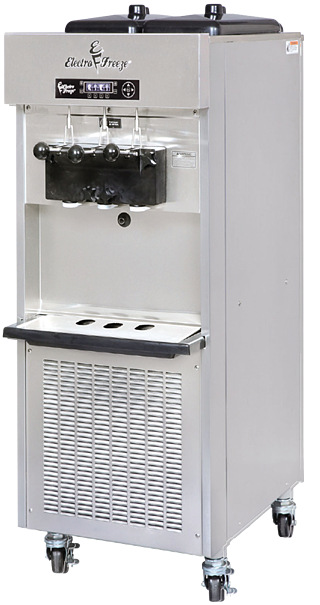 • Experience Tells Electro Freeze has been manufacturing quality frozen treat machines since 1929. 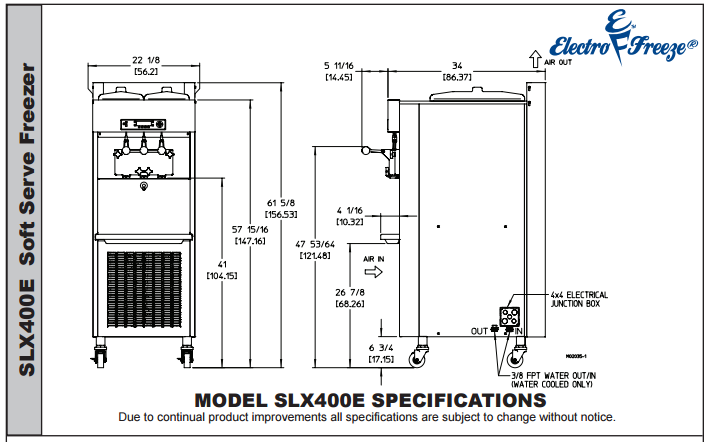 Superior engineering, product innovations, sturdy construction, quality craftsmanship and dependable performance are Electro Freeze hallmarks.